For most people, achieving a healthy, beautiful smile is the reason for choosing orthodontic care. If you’re self-conscious about your smile, having braces will greatly improve the way you look and feel.When your treatment is complete, you will have the smile you’ve always dreamed of and the confidence to show it off! Due to the nature of your mouth, the type and extent of correction necessary, some patients require the strength of metal braces. The science of braces has come a long way, and today they are more comfortable and take less time than ever before! For those with less need for extensive correction of alignment, clear braces such as Invisalign® may be the perfect solution for you. Regardless of type, braces are a lifetime investment in your smile, your confidence, and you! 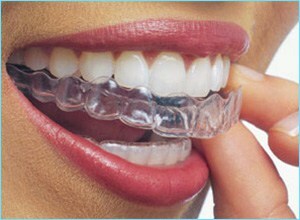 Great Hill Dental – Peabody is certified in the use of Invisalign® clear (“invisible”) Braces. Learn more about Invisalign™ by clicking HERE.